The customer who I am making the towel toppers for, requested for some to have a scrap yarn look. 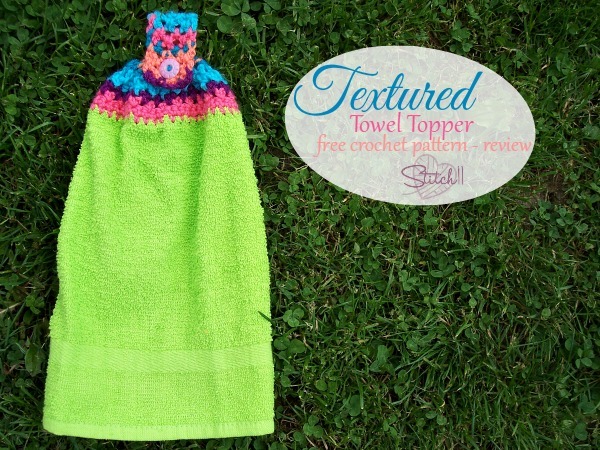 I thought this free crochet pattern for the Textured Towel Topper ( >LINK HERE<) would be perfect! I loved the pattern! The size is ideal to me. The pattern is really quick, even with changing so many colors like I did. I did have to make a couple personal notes on the pattern. They are listed below. – I ignored the number 8 in row 2. Not sure what it is there for.. I think it’s a typo. I did leave a comment to let the designer know. – I was also confused and getting one less loop for Row 7. But once I got further into the pattern, I realized the first loop I should crochet into isn’t what I consider the “next stitch” but more of the “same stitch”. I tend to over think things and assume something is wrong with the pattern. Then later I realize I just wasn’t thinking clearly- or still stuck on the last Towel Topper I made.